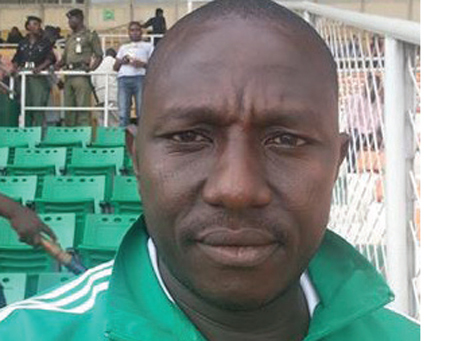 Super Eagles team coordinator, Patrick Pascal believes Nigeria’s trio of IfeayinUbah, Enugu Rangers and Rivers United will make Nigerians proud at Confederation of Africa Football competitions. He said this at the backdrop of the team’s impressive showing against their African opponents where Enugu Rangers held Jeunne Sportive Saourato a 1-1 draw at the Sauora City on Friday in the first leg while Rivers United played out a goalless draw against AS Real Bamako at the Stade Modibo Keita de Bamako on Saturday in the CAF Champions League. IfeayinUbah FC managed a slim 1-0 win over Egypt’s El-Masry in Nnewi in the first leg in the Confederations Cup on Saturday and the three teams will be targeting a place in the next round of the competitions. The former defender who had a limited time in the colours of the Super Eagles due to injury told Soccernet.com.ng that Enugu Rangers, Rivers United and IfeayinUbah would go far in the various CAF tournaments. “I am very delighted that Nigeria flagbearers in the CAF Champions League and Confederation Cup are doing very well. Seeing teams like Rangers and Rivers United go away from home to pick a point, simply tells you that Nigerian domestic players can hold their stand if given the necessary support,” Pascal told Soccernet.com.ng. “As for IfeayinUbah that defeated an experienced side like El-Masry, I believe they can also replicate the same feat if they maintain their balance in the second leg. I am confident the three teams will go far in the CAF competitions if they raise their game better than the first leg,” he said.